Record-breaking new UK car registrations for 2015 | What Car? Last year was the best year for car sales yet recorded, with the 2.6million UK registrations in 2015 surpassing 2003’s formerly record-breaking 2.58m. The Society for Motor Manufacturers and Traders (SMMT) newly released figures show a 6% increase over 2014, with reports showing the growth of fleet sales besting those of retail. Volkswagen appears relatively unscathed by its difficult year, and although the brand and its sub-brands suffered small losses in market share, its sales figures continued to grow. The Volkswagen Group’s value arms Seat and Skoda both suffered a decline in sales, with Skoda losing 0.21% of its share of the market and Seat suffering a heavier loss of 0.35%. It was a similar story at Audi, which endured a loss in market share of 0.9%. The three brands now hold 2.84%, 1.81% and 6.33% market share respectively. 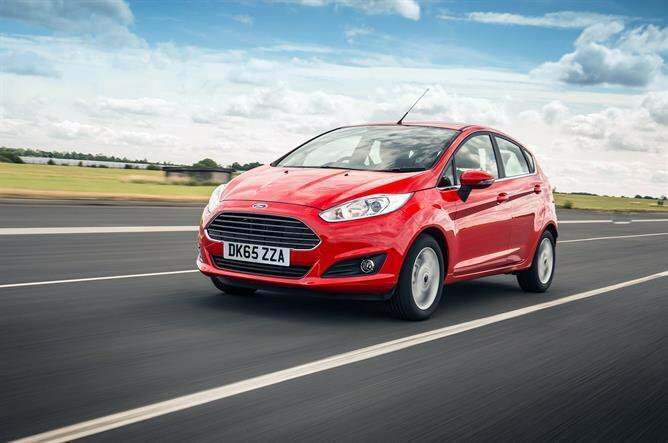 Ford’s title of best-selling brand in the UK was maintained, although it was dented by a loss in market share of 0.46%. Elsewhere, Citroën, including its newly spun-off DS brand, lost 0.29%, shrinking to 3.04% of the market, while Renault gained 0.19%, growing to 2.87%. BMW grew to 6.36%, a 0.35% increase, and Mercedes' small car sub-brand Smart leapt from 0.18% to 0.32% following the launch of its Fortwo and Forfour models. Jaguar and Land Rover both reaped market share increases following new model launches, of 0.17% and 0.26%, and both brands continue to chase expansion in 2016. Jeep’s market share growth was considerable, taking a leap from 0.16 to 0.41%, in part down to the timely and commercially successful Renegade, while Mitsubishi’s 0.64% gain to 0.88% can be attributed to the popularity of the Outlander PHEV. Mercedes-Benz enjoyed a market share increase of 0.5%, with 145,254 new registrations in 2015 up by 20,835 from 2014. The Ford Fiesta maintained its position atop the 2015 best-sellers pile, while the Vauxhall Mokka took tenth place, pushing the Nissan Juke out of the top ten.